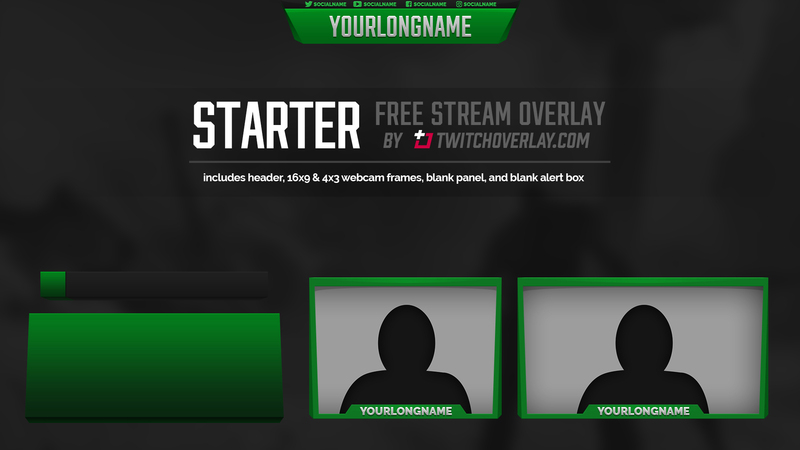 Starter is a free green overlay giving you the basic, foundational graphics you need to get yourself started in streaming. This stylish package includes a header graphic, webcam frames in 4×3 and 16×9 ratio, a blank panel, a blank alert box, 4 social icons, and a subdued background to fill your streaming window, while not being too distracting. If you like the Starter overlay, and would like to expand on the graphics it includes, check out Starter Deluxe. This bumper version includes numerous extra panels, alerts, and social icons.